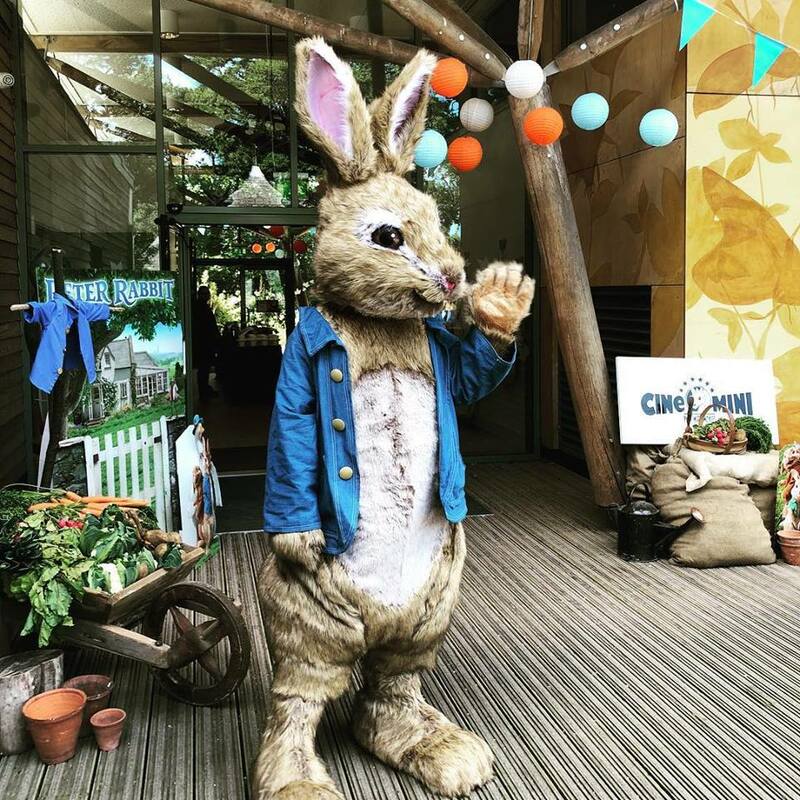 I was invited to an amazing Peter Rabbit event to celebrate the birthday of Beatrix Potter. Sadly, I couldn’t make it but instead I have a copy of the film and a Cine Mini Prop Box to giveaway. The fantastic props (suited for children 3+) will help you bring the film to life! Included in the prop box are felt vegetables with felt soil, a bug viewer with bug, glow stick, popcorn in a carrot bag, carrot squishie, garden tool and wild seeds to plant at home. Such a lovely selection of goodies to explore whilst you watch the incredible film at home. I first watched the film on the plane to Florida and was thoroughly entertained. The film is hilarious. I absolutely loved every minute of it, as did my boys and husband. I totally recommend purchasing the DVD just so you can watch Peter Rabbit and friends’ antics. He is such a loveable rogue! That film really was the highlight of our long flight. For 1 hour and 35 mins we were completely absorbed on the screen and Peter Rabbit’s (mis)adventures! It was such a pleasant way to spend our time. When the boys were younger I used to read Beatrix Potter books to them, so it was a wonderful introducing them to the film, admittedly with more of a cheeky and wise cracking Peter Rabbit. I enjoyed the introduction of Thomas McGregor and seeing how he and Peter Rabbit clashed. Their efforts to outdo one another will have you in fits of giggles. Some of the plans are so outlandish and you really wonder what will happen next! I also appreciated the unfolding love story between Bea and Thomas. I am a sucker for a bit of romance and a happy ending! If you haven’t already watched the film, you really must rectify that very soon! If you would like to enter the competition, please fill out the form below by the 9th of September. Do read these terms and conditions before entering.